At Design Resources Group, our Interior Designers are dedicated to the creative and innovative design process that reflects the ways people use and function in their space for the learning, living and workplace environments we create. Interior Design today needs not only to be healthy and sustainable, but also collaborative and engaging. We work closely with our clients to understand their goals, objectives, culture and values to assure designs are a reflection of your specific needs and are activity-based, flexible solutions. The DRG design approach includes interviews, on site observations, programming, flow analysis and space planning. Our team uses a variety of methods and mediums to help clients visualize design concepts before they are built, which include hand-sketch renderings, 3D modeling, animations, mock ups and color/sample boards. We understand the importance of branding, color, textures, lighting, orthogonal and perspective views, and selection of furniture systems. 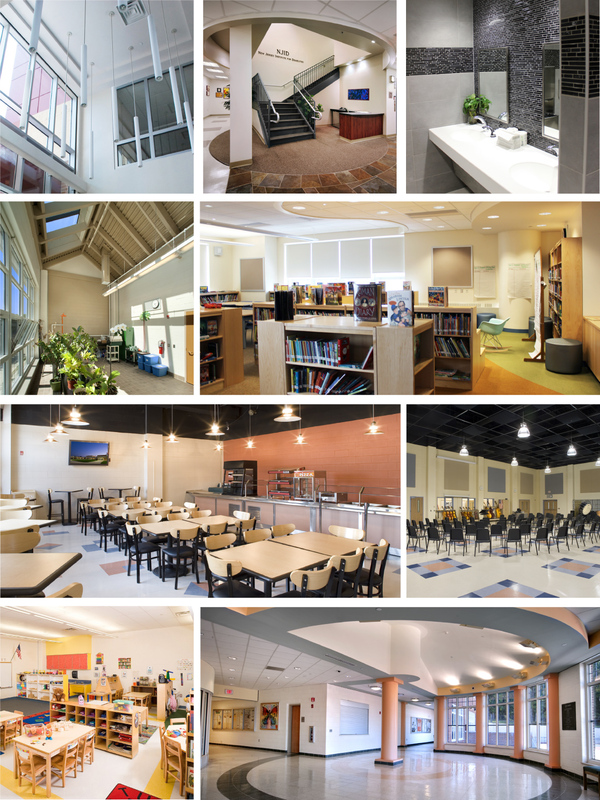 We design for healthy environments selecting sustainable materials and energy efficient systems. We accomplish these things with the numerous LEED accredited staff here at DRG that also work with WELL building standards. It is our team at DRG that add value to the spaces we design by making them enjoyable for the people that use and experience them.